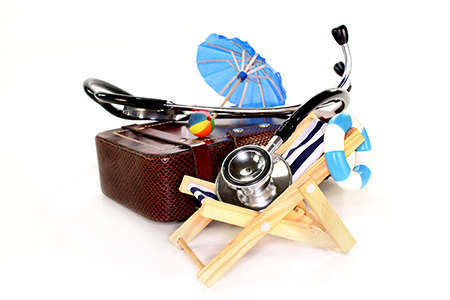 An important purchase for any holiday, book your travel insurance with the Travel Experts at Flight Centre. We work with Cover-More to ensure you travel with peace of mind and at an affordable price. It may be the last thing you want to think about before you travel, but travel insurance is one thing you don’t want to leave home without. Whether hiking in the USA, scuba diving in Australia or visiting a temple in Thailand, accidents can happen no matter where you are in the world, which is why it’s essential to safeguard you, and your holiday, against the unexpected. At Flight Centre, we work with leading travel insurance provider Cover-More. Together we have developed a range of policies and insurance products that provide comprehensive protection, giving you complete peace of mind to enjoy every moment of your trip. Why do we use Cover-More for travel insurance? What is covered with my policy? Our travel insurance specialists will sort through all available policies to help you find a level of cover that suits your needs, including any activities you plan to undertake while on holiday. Purchase your travel insurance online or call a Flight Centre Expert for advice on 0808 260 9979. A policy can be purchased anytime leading up to your departure date. Because most Cover-More plans include cover for cancellation costs and protection starts from the time the policy is purchased, it's a good idea to purchase right away to take full advantage of this benefit. Doing this means that, if you become ill and unfit to travel before you go away, any non-refundable money paid is covered. Does cover include loss of baggage? Cover-More does provide cover for loss, theft and damage to your baggage. The amount you can claim up to will depend on the plan you choose to purchase. Please note, item limits and some exclusions do apply. What are the differences between an annual and single trip policy? Annual multi-trip policies are designed to cover you for multiple trips during the year. You can choose the limit on the number of days per trip that you are allowed, like 30, 45 and 60 days per trip. Your trips must not exceed a total of 120 days. Do I need an excess? Cover-More offers you the option to waiver the excess on the policy, this means if you have to submit a claim there will be no excess deducted from the totel reimbursed. Alternatively, if you choose not to waiver the excess the policy will be cheaper however it will mean an excess will be deducted in the event of a claim. How long do I get to cancel a policy? We are confident you will be happy with your policy, however you are able to receive a full refund on your insurance as long as we are contacted in writing within 14 days of the policy being issued and prior to departure. Conditions apply. Can I purchase Cover-More travel insurance if I don't live in the UK? To be able to purchase our policies you must be a resident in the UK. This means you must have a permanent UK address and be living in the UK at the time the policy is issued. Whether you become seriously ill and need to be hospitalised or simply lose your passport and are stuck abroad, every Cover-More insurance policy gives you access to a 24-hour Emergency Assistance team. This team can offer you practical support and guide you through your crisis 24 hours a day, 7 days a week, 365 days a year. You can rest easy knowing that with a Cover-More travel insurance policy, you're never alone in your moment of need. After purchasing a Cover-More insurance policy, if you encounter difficulty overseas and wish to make a claim you will need to complete a claim form. When filling out the form, take care to provide as much detail and supporting evidence as possible regarding the 'event' you are claiming for.